The first of two Beatles EPs released by Capitol Records was issued on this day. Four By The Beatles had the serial number Capitol EAP 1-2121, and was released only in mono. The four songs had previously been issued in the United States on Meet The Beatles! or The Beatles' Second Album. 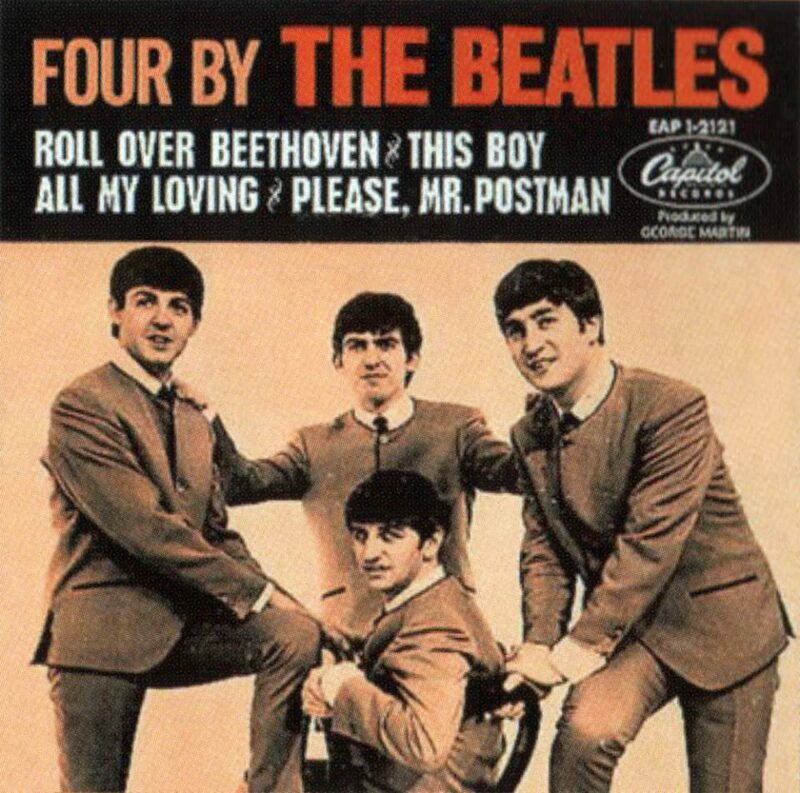 They were Roll Over Beethoven, All My Loving, This Boy and Please Mister Postman. A subsequent EP, the similarly-titled 4 By The Beatles, was released by Capitol on 1 February 1965. The format wasn't a hit with US record-buyers, and no further official EPs followed.